Dr. Baravarian outlines what you should know about when choosing a bunion surgeon. Bunion surgery may be recommended when less invasive treatment options aren’t successful. The primary goal of a bunionectomy is to correct the big toe deformity and the eliminate foot pain. There are over 40 different types of bunion surgeries. It is important to find a surgeon that is experienced in a variety of bunion surgery techniques so they can tailor your procedure to your unique condition. Bunion surgery can be performed on an outpatient basis, and the right surgeon can leave minimal or no scarring with a virtually painless recovery. What happens when Bunion Surgery Fails? Q: I am from out of state and I want a bunionectomy at UFAI. When can I go home? Q. For a Lapidus bunionectomy, does UFAI use a titanium plate and 2 screws in the midfoot? Q: I read about a minimally invasive bunion procedure that removes the bunion by shaving down the bone. Is this an effective option for bunion removal? Q. I have a mild case of bunions on both feet. Can you perform surgery on both feet at the same time? Q. I just had bunion surgery. what can I put on the incision to help it heal and be less visible? Lapidus bunionectomy and osteotomy tailor’s bunionectomy performed with hammertoe correction of the second toe. After image taken approximately 3 months post surgery. Severe foot and bunion pain when walking, even when wearing comfortable shoes. It's critical to pick the right surgeon to perform the right type of surgery with a virtually painless recovery. We use stable fixation so the bones don’t move, which results in less swelling and pain. We inject long acting local anesthesia and a proprietary mix of cocktail that controls swelling and pain. The boot we use allows for stability and less movement with less pain. We use anti inflammation protocols after surgery that reduce pain and swelling without the need for major narcotic use. Our patients rarely take more than one or two pain pills unless it is an extensive surgery. Most patients control pain with over-the-counter anti-inflammatory medication and Tylenol. Browse our patients' before and after photo gallery of bunion surgeries. UFAI's Dr. Baravarian discusses benefits of the lapidus bunionectomy in Podiatry Today. The lapidus bunionectomy is considered the Gold Standard for bunion surgery. For the right patient, this procedure has the highest success rates with essentially a 0% chance of the bunion returning. With UFAI's trademarked Forever Bunionectomy, our bunion surgeons have improved the traditional lapidus procedure by infusing stem cells and amniotic cells during surgery. These advanced techniques speed up recovery and reduce scarring. Non-weight bearing and time in a cast is reduced from 8-12 weeks to 2-3 weeks. Immediate weight is possible but there is usually better healing with two weeks of no weight. Our on-site CT scan allows us to see the fusion earlier, which gets patients moving faster. Additionally, our physicians work directly with our physical therapists offering our advanced PT protocol that allows for improved range of motion with less stiffness and pain. The MinVasive procedure is our trademark system developed by UFAI’s own bunion surgeons. The prominence of the joint has been removed and great toe joint is now realigned After image taken approximately 2 months post surgery. With the MinVasive procedure, our surgeons combined the best points of open bunionectomy (the fixation) and the best parts of traditional minimally invasive bunionectomy (the repositioning options and small incision). This makes the MinVasive bunionectomy an ideal bunion procedure with the best potential outcomes. Traditional minimally invasive bunion procedures have had limitations of fixation options, which result in poor bone healing and malunions of the bone alignment. The MinVasive bunionectomy has been designed to deal with all of the underlying complications of traditional bunion surgery and also to allow for adequate fixation through a minimally invasive approach. This results in excellent healing and limitation of risk factors associated with traditional minimally invasive bunion surgeries. The ideal bunion surgery needs to correct the bunion in three planes. The bone also needs to be corrected in an up and down position and rotated to sit properly over the two seed bones under the great toe called sesamoids. While this is not possible with traditional osteotomy procedures without a through and through cut of the bone, this can be accomplished with the MinVasive bunionectomy. Our MinVasive procedure allows for immediate weight bearing in a boot without crutches. Time in the boot is reduced and patients are a surgical shoe 4 weeks and normal shoes in 6 weeks. Osteotomy bunionectomy performed with hammertoe correction. After image taken approximately 2 months post surgery. This is one of the most commonly performed bunion surgeries. An osteotomy, or bone cut, is made on the metatarsal head, just behind the big toe joint. This “V” shaped cut (when viewed from the side) allows the first metatarsal to shift laterally toward the second metatarsal bone. The bones are held together in their newly corrected position with two screws. Although the screws may not be needed after the bone is healed, they are often left in place to avoid a re-occurrence of the bunion. Our surgeons have revolutionized the osteotomy procedure and allow for immediate weight bearing, no cast and a faster recovery. In most cases, patients are back in regular shoes in 4-6 week post surgery. Additionally, by making the incision on the side of the foot, we can avoid a large scar on the top of the foot. This is a strong and predictable procedure and is commonly used on active patients younger than 50 years, with mild to moderate hallux valgus. This surgery is most frequently done as an adjunctive procedure and is rarely done on its own. In some cases the angulation deformity of the great toe is so severe (big toe is bowed out) that an adjunctive procedure is needed. Once the initial surgery is completed, the surgeon examines the great toe. They will ensure that it is straight enough and appropriately spaced from the 2nd toe. If additional correction to the big toe is needed, an Akin osteotomy is performed. Using an angular cut, a triangular wedge of the big toe bone is removed. The wedge is then closed allowing the big to shift away from the 2nd toe. The bones are stabilized with a screw while the bone heals. This additional procedure does not add to the healing time of the main surgery. A bone cut is made along the first metatarsal and a wedge of bone is placed in the bone cut to correct and close the abnormal angle between the 1st and 2nd metatarsals. Donor bone graft or bone harvested from the patient can be used for this correction. A special small plate with screws is used to stabilize this correction. Post surgery, patients are usually in a cast non-weight bearing on crutches for six weeks. In some cases the bunion deformity is so severe that need a more complex surgery is needed. But if a non-weight bearing, long recovery and is not an option for the patient. then a Tightrope procedure can be performed as an adjunct to an Austin Bunionectomy. First, an Austin procedure is completed. After that, to further increase the shift of the 1st metatarsal bone, your UFAI surgeon performs a Tightrope procedure. A thin fiber-wire is strung between the first and second metatarsal and tightened – forcing the big to toe properly realign. Typical recovery is crutches and a boot with partial weight bearing for six weeks. The McBride bunionectomy is not commonly performed as it involves removing the bony bump without cutting the bone and shifting it. That being said, it is used when there is a mild bunion or if the patient is a poor surgical candidate that may not heal well from an osteotomy (bone cut). While the McBride bunionectomy is an acceptable procedure, it does not provide the same type of correction, as do procedures involving an osteotomy. With the Scarf osteotomy, surgeons make a long “z” shaped cut on the first metatarsal allowing for the realigning the bones. Two screws hold the bones in their newly corrected position until the bone heals. When a bunion develops in the little toe (rather than at the base of the big toe) it is known as a tailor's bunion. Depending on severity of the bunion, surgery can be straight forward, such as shaving the bone in order to lessen pressure on your bunion from footwear. In some cases, cutting or separating the 5th metatarsal (small toe) so it can be properly realigned into normal position is the best way to improve your overall foot mechanics. About 25% of our patients come to us after a failed bunion surgery elsewhere. If the bunion returns most often the underlying problem wasn’t address in the initial surgical procedure and the deformity was never really corrected. This may in part be due to the surgeon choosing the wrong procedure that was inadequate to correct the cause of the bunion. Any bunion surgery that involves bone cutting or fusion will result in a shortening of the big toe, but the big toe should not shrink so much as to cause you pain or impact your foot’s ability to function. Hallux Varus occurs when the big toe is pulled in the wrong direction. It's caused by a muscular imbalance resulting from a failed bunion surgery. After bunion correction surgery, it’s common and perfectly normal to experience some joint stiffness. You can loosen the joint up by wiggling it – this is why at UFAI, we’ve developed procedures that keep patients out of a cast. However, if you’ve received bunion surgery and spent your recovery time in a cast and crutches, you might experience more stiffness than usual caused by the formation of scar tissue (adhesions) in the big toe joint. Arthritis occurs when the cartilage that cushions and lubricates the joint degenerates. Arthritis is characterized by pain, swelling, clicking or grinding in the joint, and the formation of bone spurs. Surgical hardware is often a part of bunion surgery. The hardware (plates, screws and clips) is used to fuse and stabilize the bone after surgery. The physicians at UFAI commonly perform the lapidus bunionectomy using the DynaForce Active Stabilization System they developed in conjunction with CrossRoads Extremity Systems. The DynaForce System combines the high compression of a clip and the stabilization of a plate with no need for screws. Because there are no screws taking up “space”, the entire surface of the bone is open to fuse. The DynaForce clips are delivered flush to the bone and are significantly stronger than a fusion using plate and screws. They are also much lower profile so there is less need to go back and remove it. And unlike screws, the clips can’t get loose. The following five star Yelp review was posted by University Foot and Ankle Bunion patient, Shabnam. ...From start to finish, before and after my bunion surgery, [my Dr.] and his staff took great care of me. The surgery was fast and precise, with clean incisions and nearly painless recovery. I did not need to take any of my pain medication. Everyone in his office is warm, friendly and knowledgeable, which makes the entire experience very smooth and pleasant. Click here to see Shabnam's full review on Yelp.com. UFAI's surgeons are nationally recognized leaders in permanent bunion correction. Decades of experience and tens of thousands of successful outcomes assure the very best possible outcome. Our methodologies not only eliminates pain but leave virtually no scars. Surgeries are performed on an out-patient basis in our state of the art surgery centers. Additionally, bunion correction technology and pain management have become much more advanced over the years and we've been able to make our bunion surgeries virtually painless. Our modern foot and ankle physical therapy services allow you to get moving faster and safer. 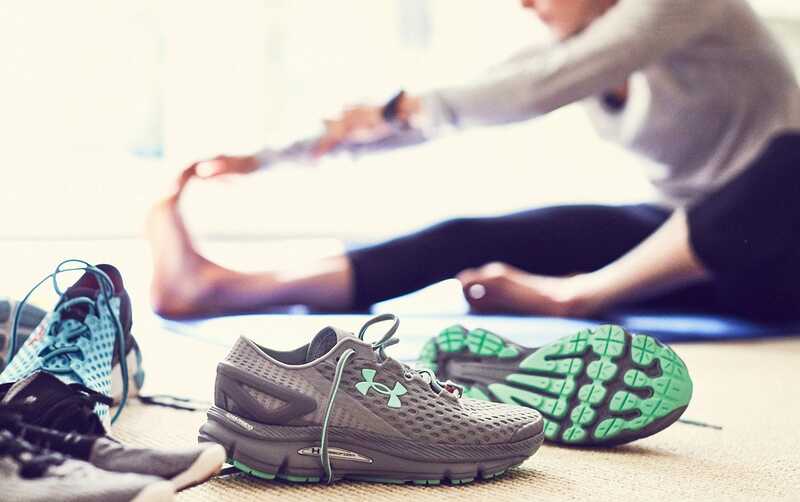 Since foot and ankle therapy is specialized, we work with our therapists to make sure they understand each patient’s specific needs and how to make a rapid recovery. All this means a safer, shorter, happier and less painful recovery for our patients with the advantage of world-class bunion educators and specialists. Q: Is surgery the only way to fix a bunion? Technically, you can only “fix a bunion” with surgery, but that does not mean that everyone needs surgery to get symptom relief. Conservative treatment can be very beneficial for some patients and, as a rule, our Los Angeles bunion specialists pride themselves on creating an individualized treatment plan for each of our patients, based on their physical condition and personal lifestyle. Q: Am I a candidate for bunion removal surgery? Not everyone is a good candidate for a bunionectomy, and if a bunion is in its early stages, which we hope it is, we will want to consider less-invasive treatments. We want to avoid surgery whenever possible. Since bunions tend to worsen with time, early treatment is the best medicine. Q: Will I be able to walk right after a bunionectomy? You should be able to bear weight with the aid of a protective boot immediately after your bunionectomy. Some patients require crutches to aid them in walking for the first few days. Only the most severe bunion cases that require more comprehensive surgery require time off the foot. Even in those cases, our doctors have shortened the typical time off the foot to only 2-3 weeks rather than 6-8 weeks. We will let you know when you can resume walking and other normal activities because we will be seeing you during your entire recovery. Q: Will my bunion come back after surgery? Bunionectomy is a very effective treatment in that it removes the bunion, relieving the pain and discomfort it can cause when walking and performing other activities. However, proper foot-care after surgery is essential to prevent bunions from coming back. After we correct your bunion issue it is important to avoid the same things that helped cause the problem in the first place. We know it can be difficult for some patients to avoid wearing high heels and other improper footwear, but it is more important for you to never suffer from bunions again. As you recover we may suggest the use of corrective orthotics. Q: Will I be under anesthesia during surgery? Usually not general anesthesia, but a mild sedation helps you stay calm and immobile. Bunion specialists at University Foot and Ankle Institute perform most surgeries with IV sedation. 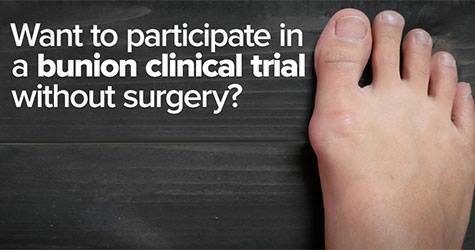 Q: How painful will it be after my bunionectomy? While patients do experience some pain after a bunionectomy, over the counter pain relievers and anti-inflammatories are often all you need for effective relief. University Foot and Ankle Institute is at the forefront of research on pain control following bunion surgery. From long acting local anesthetics to creams that control swelling and pain, our emphasis is on “no pain” after surgery. Minimum stay is 5 days, however we prefer 10 days if possible. We often need additional info to make sure your bunion type fits with the right procedure. This is best done through a virtual consultation. We use a new staple and plate system from Crossroads that is stronger and better than the regular screw and plate system. We place 2 staples and a plate with 2 screws during a Lapidus. Unfortunately not because you are not realigning the bone, so you are not correcting the core problem. The end result is the bunion will most likely return and then need to have surgery again. We know this first-hand since about 20% of our bunion surgeries are correcting others work and we have repaired our fair of these of these procedures as have many of our colleagues. Fortunately permanent bunion correction surgery with minimal or no scarring is done by us all the time with immediate weight-bearing with an essentially painless recovery. Yes we can perform surgery on both feet at the same time but prefer to do the feet two weeks apart. This allows the first to foot to heal for a couple weeks and make sure all is well prior to doing the second foot. We recommend silicone gel sheets, vitamin E cream and Mederma. All of these products can improve the cosmetic outcome of surgical incisions.